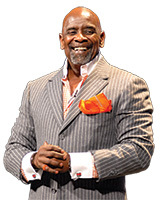 Christopher Gardner is the owner and CEO of Gardner Rich LLC with offices in New York, Chicago, and San Francisco. Conquering grave challenges to become a successful entrepreneur, Gardner is an avid motivational and inspirational speaker, addressing the keys to overcoming obstacles and breaking cycles. Gardner is also a passionate philanthropist whose work has been recognized by many esteemed organizations. The amazing story of Gardner’s life was published as an autobiography, The Pursuit of Happyness, (Amistad/Harper Collins) in May 2006, and became a New York Times and Washington Post #1 best-seller. In paperback, the book spent over 20 weeks on the New York Times best-seller list and has been translated into 14 languages. Gardner was also the inspiration for the movie, “The Pursuit of Happyness,” released by Columbia Pictures in December 2006. The movie is the #2 all-time domestic grossing drama. Will Smith starred as Gardner and received Academy Award, Golden Globe and Screen Actors Guild nominations for his performance. Gardner was an associate producer on the film. Gardner’s second book, Start Where You Are: Life Lessons in Getting From Where You Are to Where You Want to Be, was published on May 12, 2009. Born February 9, 1954 in Milwaukee, Wisconsin, Christopher Paul Gardner’s childhood was marked by poverty, domestic violence, alcoholism, sexual abuse, and family illiteracy. Gardner published his autobiography out of a desire to shed light on these universal issues and show they do not have to define you. Gardner never knew his father, and lived with his beloved mother, Bettye Jean Triplett (nee Gardner), when not in foster homes. Gardner is indebted to Bettye Jean for his success as she provided him with strong “spiritual genetics” and taught him that in spite of where he came from, he could chart another path and attain whatever goals he set for himself. Gardner worked at Bear Stearns & Co from 1983-1987 where he became a top earner. In 1987 he founded the brokerage firm Gardner Rich in Chicago from his home with just $10,000. Gardner Rich LLC is an institutional brokerage firm specializing in the execution of debt and equity products transactions for some of the nation’s largest institutions, public pension plans and unions. 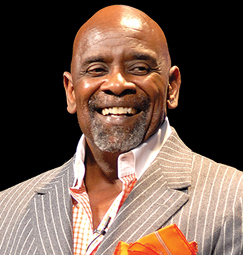 Chris Gardner’s aim, through his speaking engagements and media projects, is to help others achieve their full potential. His practical guidance and inspirational story have made him a frequent guest on CNN, CNBC, and the Fox News Channel. He has been featured on The CBS Evening News, 20/20, Oprah, Today Show, The View, Entertainment Tonight, as well as in People, USA Today, the Associated Press, New York Times, Fortune, Entrepreneur, Jet, Reader’s Digest, Trader Monthly, Chicago Tribune, San Francisco Chronicle, New York Post, and the Milwaukee Journal Sentinel, amongst others. Gardner has two children and resides in Chicago and New York.